Rio de Janeiro, Brazil is one of South America’s most iconic cities featuring a wealth of culture, food, and sites to explore. 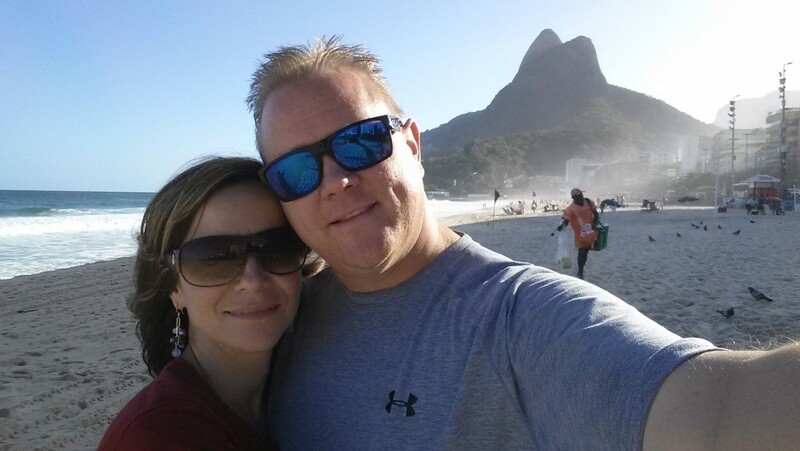 You could spend weeks in Rio de Janeiro and still not experience all this magnificent city has to offer, but my wife and I, along with our four kids, only had four days in Rio de Janeiro. 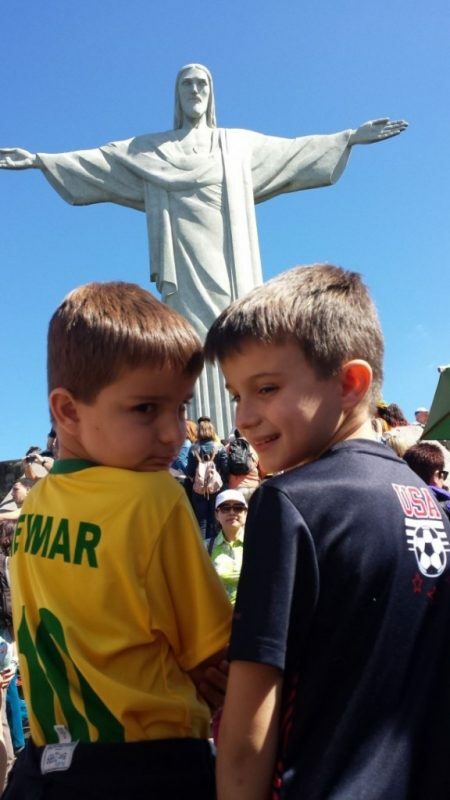 Our three boys ages 7, 8 and 15, and 14 year-old daughter had never been to Rio and I’d been only once, twenty years earlier. 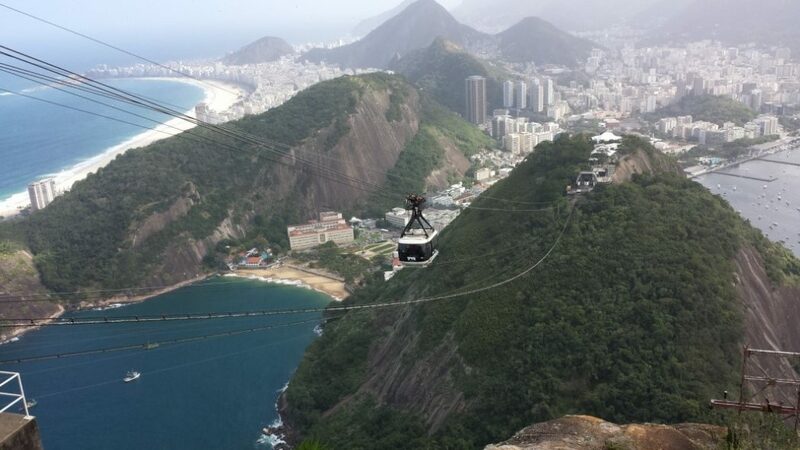 Since our days in Rio de Janeiro were limited, prioritizing our activities was paramount. The main things we decided to do were spend time at the beach, visit Sugarloaf Mountain, tour four days in Rio de Janeiro’s Maracaná soccer stadium and see the Christ the Redeemer statue. We also wanted to leave time for shopping especially at a street market where the kids could buy inexpensive gifts and trinkets for their friends back home in Utah. The seasons in South America are reversed from a North America so arriving in August meant we were there during the winter season. Bad news is the weather is more unstable in the winter. Good news is its Brazil, winter is pretty mild. August 1st marks the end of the high tourism season lower lodging rates dramatically. 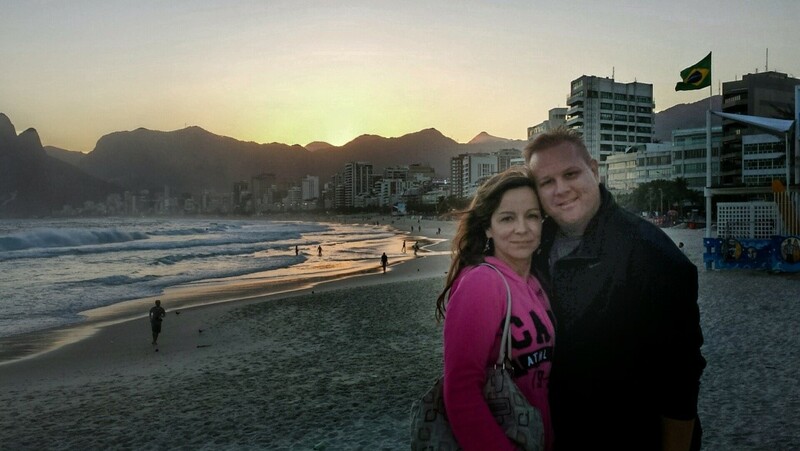 We rented a two bedroom apartment one block off Copacabana beach for US$150 a night. This allowed us much needed space for a family of six people. The master bedroom had a full-size bed and balcony, the 2nd bedroom had two single beds, and the living room couch folded down into a bed with a pull out bed underneath – beds for all 4 kids was a huge plus! The kitchen had a stove, full size fridge, and all the cups, plates and utensils needed. Our first morning we walked to a local supermarket to purchase tropical fruits, milk, cereal, bread, cheeses, and a variety of juices like passion fruit, mango and guava. This allowed us to have breakfast at the apartment each morning before heading out, savings both time and money. After looking at the weather forecast we decided to spend our first day at the beach. 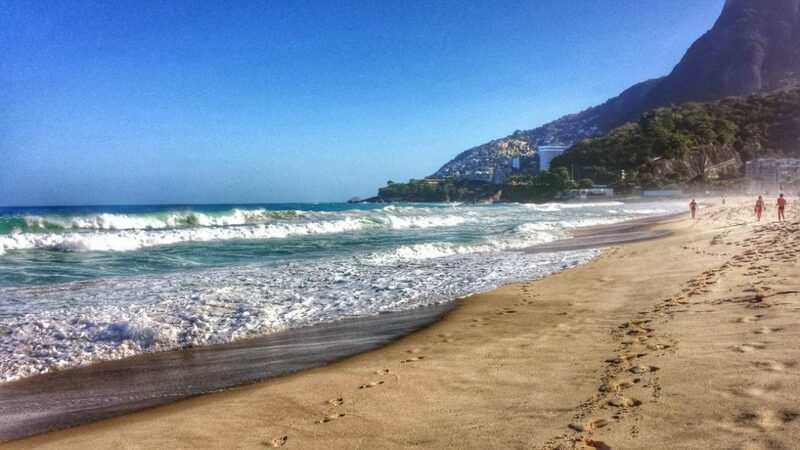 Walking from our apartment to Copacabana Beach took only minutes. The day was sunny and a warm 86 degrees Fahrenheit. The water this time of year is a little on the cooler side, but that didn’t stop the kids at all. The family played in the waves, built sand castles, collected shells and soaked up the sun. All through the day people stroll the beach peddling their wares. If we said we weren’t interested they cordially moved on. When we expressed interested they happily showed off whatever they were selling. Teaching the kids to barter for a good price added a fun challenge to buying things. My wife and daughter bought colorful wraps to wear with their swimsuits, the boys each got a bracelet done in Brazil’s colors, green, yellow and blue. Trying the food on the beach is a must. A variety of drinks, snacks and meals can be purchased from beach vendors. Fresh buttery jumbo shrimp on a skewer was my favorite treat. Lunch was warm empanadas filled with cheese and ground beef. Later in the afternoon we had fresh coconut cut open for us to drink the refreshing coconut water. Once the sun went down we left the beach, showered and changed back at the apartment and headed off to explore a local shopping mall. The mall featured plenty of well know global brands, as well as an assortment of stores and kiosks found exclusively in Brazil. For dinner we ate at the food court with each kid choosing what they wanted from the multitude of restaurants. And yes, inevitable some of them chose McDonald’s. With overcast skies, a chance of rain and temperatures dropping into the low 70’s, we skipped the beach and headed to Sugarloaf Mountain. Sugarloaf, known as Pão de Açucar, juts straight up nearly 1,300 feet high. The site is comprised of two stops, the first to the smaller peak, Morro da Urca, and second to Sugarloaf, both accessed via cable car. .
With parking right out front and no lines, thanks to the off season, we walked right up to the ticket counter. Tickets prices were approximately $30 US (R$62) for adults and $15 US (R$31) for the kids. Our teenagers need their passport as proof of age in order to get the lower price. A 65 passenger cable car whisks you up the mountain with amazing views seen all around through the cable cars windows. The cable car stopped at the first peak where we took pictures, but quickly headed to the second car taking us to the top of the mountain. Views from the top were breathtaking! We enjoyed the scenery and took tons of pictures, and enjoyed the snack bar. After leaving Sugarloaf we headed to the Maracaná stadium. Maracaná was one of the main stadiums for the 2014 FIFA World Cup, hosting the final match between Germany and Argentina. We paid about $6 US for the self-guide tour. A guided tour costs about $12 US. The entrance features a large museum like area with displays about the stadium, Brazil’s National Team and World Cup history. A game ball from the final match was on display. From there we walked down the main tunnel leading to the field, coming out of the tunnel was especially exciting for my boys who had watched many World Cup players do the same only weeks earlier. Elevators took us up to the media area of the stadium with spectacular views of the field. After that we went down where two locker rooms are open to visitors. One features jerseys from Brazil’s 1994 Championship team. The other had jerseys from the top players around the world on display. The family loved sitting in the locker area, taking pictures with all the jerseys. Even my daughter, who was not all that excited about the stadium visit, really enjoyed herself. The best way to see the Christ the Redeemer statue at Corcovado is to pay at the various booth locations around the city. Ticket price includes transportation plus entrance ticket. We paid less than $25 US (R$39) each. We purchased our ticket first thing in the morning at the booth located off of Copacabana beach, then returned to catch the transport vans at the designated time. The air conditioned Mercedes van zipped through the city, and then headed up the steep and windy roads towards Corcovado. As we climbing the Tijuca Forest could be seen all around. Some of four days in Rio de Janeiro’s more impoverished neighborhoods could also be seen lining the mountain side. Arriving on top of the Corcovado Hill, the van dropped us off right at the entrance to begin climbing the stairs towards the 125 foot tall Christ statue. Standing at the feet of the monument, seeing its true height and having a 360 degree view of Rio de Janeiro was truly spectacular. The space in front of the statue allows you to walk around seeing all sides of four days in Rio de Janeiro and the ocean beyond. It got a bit crowded, but people were polite stepping aside as we got some fun pictures with the statue behind us. After our visit the van took us back to Copacabana beach. Once back at the beach and with the sunny quickly warming up the afternoon we visited the beaches of Leblon and Ipanema. These beaches lie side by side and less than three miles from Copacabana, within walking distance but we opted to drive to save time. We rented beach chairs for a couple bucks, worked on our tans while drinking coconut water; the little boys played in the water and sand. We also finally gave in and bought a traditional Rio cracker-like snack called Biscoito Globo. Biscoito Globo is an air filled donut shaped snack made with water, milk, oil and corn-like flour, povilho. Honestly, it was tasteless, but worth a try. Later we walked to the end of the beach to an area called Arpoador right as the sun was setting. We caught one of the most vibrant sunsets we’d ever seen. Oh, and we ate churros filled with a rich Brazilian caramel called doce de leite. Upon returning to our apartment in the evening we ordered pizza from a corner pizzeria. After dinner I headed with the teenagers to a large street market right on the Copacabana boardwalk. There we found all sorts of gifts and souvenirs. Early the next morning we heard quite a commotion outside the apartment. Look from the balcony we were surprised to see our street had been blocked off as a slew of stands were being set up to sell an assortment of fruits, vegetables, fish, meats and poultry. Once the market opened I perused the stands with my four kids. A friendly vendor gave us samples of mango and papayas. After we had tasted each he offered more, seeing our hesitation to continue eating he exclaimed in a loud voice “Today, breakfast is at the market!” As would strolled up and down the street we tasted all manner of tropical fruits, many that I’d never tasted and several I’d never even heard of. The rest of the morning was spending browsing small stores and strolling the Copacabana Boardwalk. Finally we had to pack our bags and check out of the apartment before driving back to São Paulo. 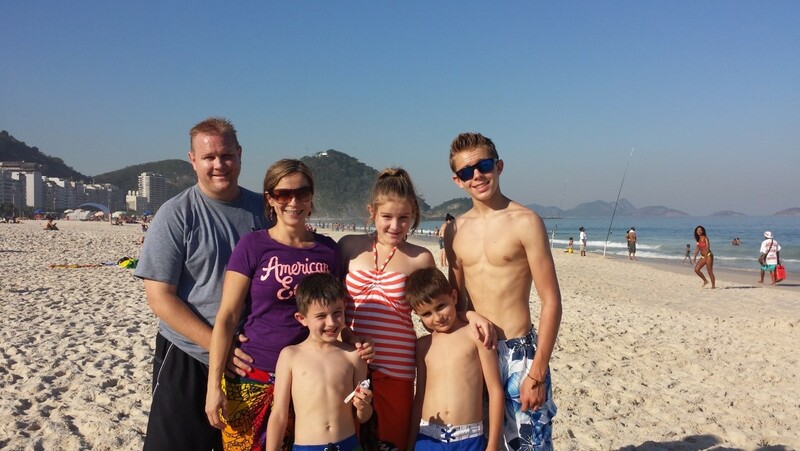 The days were jam packed, but with limited time we made lasting family memories and had some wonderful experiences in Rio de Janeiro. Gotta love it when the guy selling Biscoito Globo photo bombs your picture.